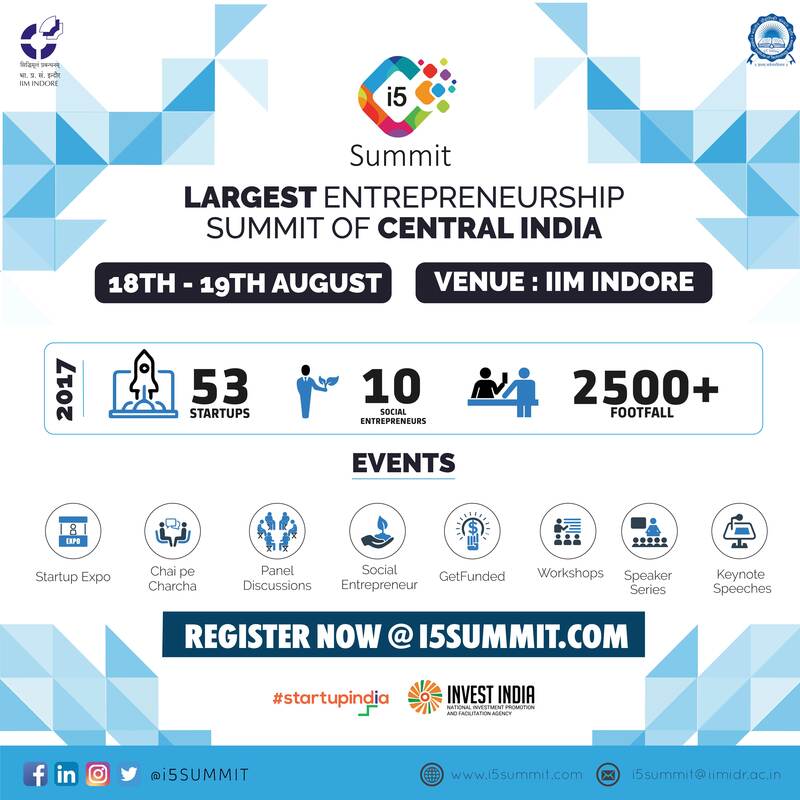 i5 Summit is a two-day entrepreneurship summit organized by IIM & IIT Indore, which takes place at IIM Indore. As the largest entrepreneurship summit of central India, it offers a host of speaker sessions and live pitching sessions. A celebration of entrepreneurship at its very core, i5 Summit has something to offer for everyone- whether seasoned or aspiring entrepreneurs, investors, or students. Through panel discussions and informal networking sessions, entrepreneurs and industry experts share their experiences and insights with the attendees. Through competitions such as Get Funded and Social Entrepreneurship, participants can win funding for their startups. A startup expo will also be held in the i5 summit where there will be numerous opportunities for the attendees to bag internships.